To see Walter Goldsmiths comprehensive bio click here. To review Walter Goldsmiths experience as an attorney, click here; in alternative dispute resolution, click here; and as an expert witness, click here. In law, success is the product of the skill, quality and dedication of counsel and focus on the interests of the client. Law Practice — As a founding partner of Goldsmith & Fass, Walters areas of expertise include real estate, commercial transactions, and securities. Real estate — Complex transactions and litigations involving commercial and residential real estate, franchises, shopping centers, sales and leases, construction, development, and mortgage financing. Clients include individuals, corporations, insurers, and cooperative and condominium owners, board, and lenders. Commercial transactions — Partnership breakups, corporate disputes, powers and obligations of boards, rights of shareholders, and buyout disputes. Securities — Work with investment houses and investors in securities disputes, including churning, suitability, unauthorized trading, fraud managed accounts. Arbitration and Mediation — Walter has 25 years of experience in mediation and arbitration and has served in more than 300 matters. Whether serving as an arbitrator or mediator, he is known for achieving efficient and economical resolutions. As an arbitrator, Walter recognizes and resolves issues without unnecessary delays. As a mediator, he quickly assesses how much a case is worth and proceeds to a resolution. He is AAA, NASD, and FINRA trained. He has handled a wide variety of matters, including complex commercial, construction, corporate, partnership, real estate, cooperative and condominium, and securities disputes. Expert Witness and Consultant — Drawing upon his experience in real estate, coops and condos, and commercial matters, Walter serves as an expert witness and a consultant. He has testified in matters involving insurers, malpractice defense, real estate tax of coops and condos, rights and obligations of boards and sponsors in coop and condo disputes, and commercial and residential leases. Walter is an acknowledged expert in cooperative and condominium law. His official Commentaries to the New York Securities Law and the New York Condominium Act have frequently been cited in appeals court decisions and by the Court of Appeals in a leading case regarding cooperatives and condominiums. He has published a volume entitled, Cooperatives, Condominiums and Homeowners Associations, and numerous articles regarding commercial and residential real estate, arbitration and mediation. In addition to his client work, Walter has been a speaker at the New York Bar Association, at the Annual Convention of the New York Council of Cooperative and Condominiums; conventions of real estate franchisees, shopping center tenants and owners, and accountants industry groups; and at other venues on real-estate related topics. 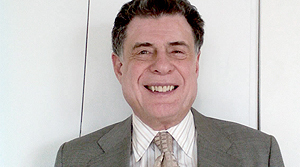 He has served as an Adjunct Professor at Baruch College of the City University of New York, with courses on cooperatives and condominiums, real estate contracts, real estate workouts, and arbitration and mediation.